The Washington Post, New York Times, and CNN, among others, are desperately trying to get rid of Trump to support the status quo, the deep state, and prevent any economic reform whatsoever. Jeff Bezos bought the Washington Post for $250 million and cut a deal with the CIA to build their cloud getting $600 million. The real question mainstream media will not dare answer is how does a private meeting between Trump and Russia end up with leaks to the Washington Post and New York Times because Trump informed the CIA and NSA about the meeting. This leak PROVES beyond a shadow of doubt that the collusion between the Deep State and mainstream media is in full swing. The culprits in the press immediately, with the help of John McCain, jumped and called the firing of Comey Watergate level. Even Yahoo ran a story implying the stock market should drop 50% showing charts of what happened when they impeached Nixon. The problem with all of this is the firing of Comey is not at Watergate level and the charts showing a 50% drop in the stock market attributing this all to Watergate and Nixon is totally a complete fraud. The decline in the market had to do with the collapse of the dollar in the aftermath of abandoning the gold standard on August 15th, 1971. 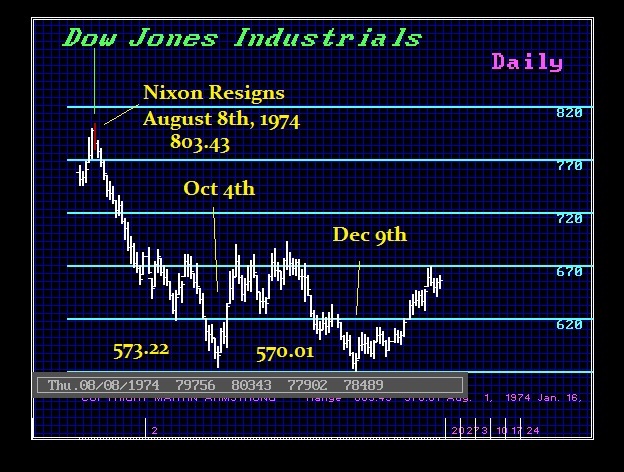 The market kept declining well after Nixon even resigned. 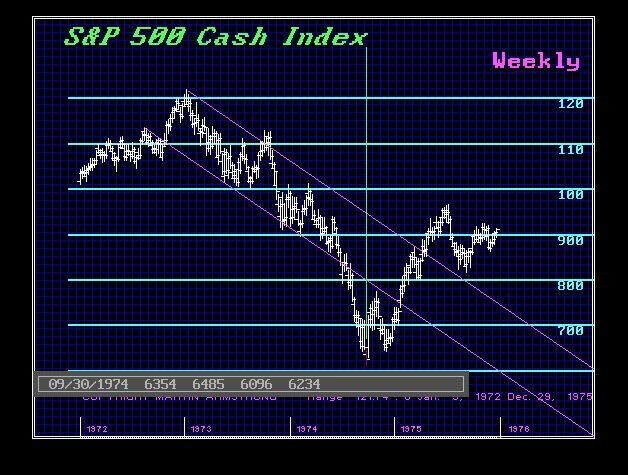 So why are they trying to create a bear market so desperately? They have to get rid of Trump to preserve the status quo and stop the tax cuts. As long as there is a progressive tax system, then the big corps and rich donors get to lobby for loopholes to avoid taxes. Why would the “rich” donate to any Democrat to pay more taxes? They don’t. They donate to the Democrats to tax anyone aggressively trying to complete with them and to ensure they have their loopholes. A flat tax does more that lower taxes for the rich, it eliminates the corruption of loopholes. One must question if these news stories are not being used to further short positions by journalists. For anyone who thinks this is just speculation probably has never heard of the the Federal appeals court decision that upheld the securities fraud conviction of R. Foster Winans, who was a former reporter for the Wall Street Journal. He was found guilty trading on the basis of his advance knowledge of what was to appear in the newspaper’s ”Heard on the Street” column. All mainstream press do is publish bearish stories why the stock market should crash. You have to wonder between the owners of these media companies and journalists with editors, what do they have in their personal accounts for they hsve been above the law for way too long when it comes to insider trader. We are in an all out civil war in the newspapers and TV to get rid of Trump to protect the status quo. CNN broadcasts virtually nothing but Trump impeachment constantly. This is the agenda. They are trying so hard to create a serious bear market to blame Trump and force him out of office. So watch the numbers. They will define the percentage movement and the arrays will define the timing. This ahead is a Bear Trap that can set up everything for the opposite directional swing.